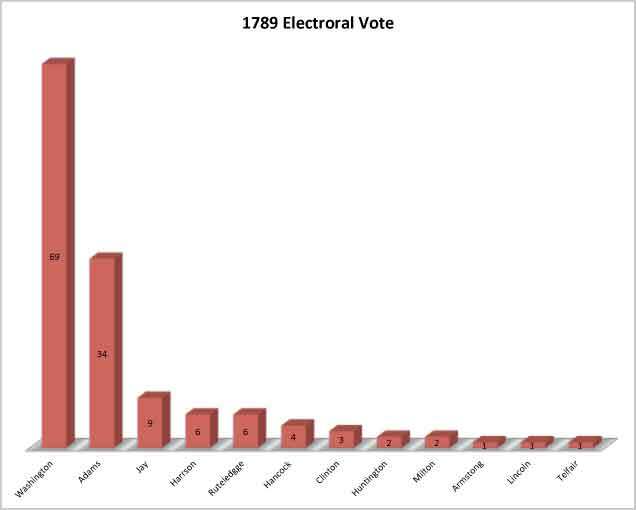 The Presidential Election of 1789 was an uncontested election. General George Washington was the only candidate for President. There was no question in anyone's mind that General Washington should be the first President. The only one who questioned that idea, was General Washington himself. General Washington was enjoying his retirement in Mt. Vernon. However, ultimately, there was no denying the need of the country. As Alexander Hamilton wrote to General Washington: "every public and personal consideration will demand from you an acquiescence in what will certainly be the unanimous wish of your country." In the end, Washington agreed. Washington was elected by acclamation.